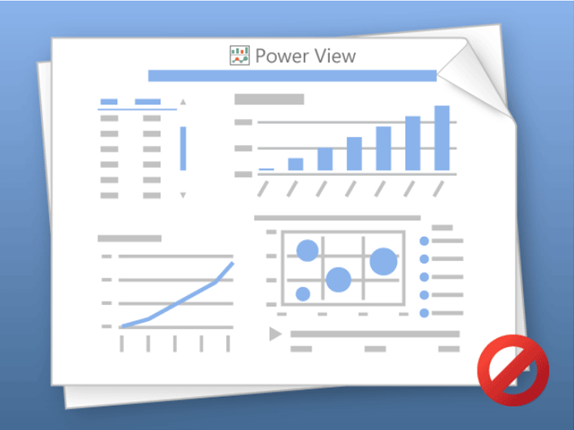 We have seen a few instances of customers not able to view their Power View reports. While Power View is part of Power BI, the ability to view Power View reports within Silverlight has actually been available in SharePoint Online for some time. When you go to open the Excel document through the Excel Web App, you may see the following on the Power View Sheet. This issue actually relates to the fact that Preview Features was disabled from the SharePoint Online Admin Center. This can be a little confusing, as we naturally assume this means Power BI because it is in Preview state right now and not GA. However, Preview here means something else. There is a blog from the O365 community which explains what Preview means. 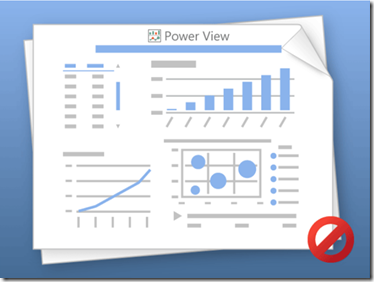 This Preview feature includes the Power Pivot and Power View usability that was there prior to Power BI. To get the reports to work again, you would need to enable the Preview Features within the SharePoint Online Admin Center.